ADORE this chicken. It’s an ADORE-able meal. You will ADORE the flavor, and you will ADORE how easy it is to make. Drain the pineapple juice into a small bowl. Set the drained can of pineapple to the side. Add the chicken stock, brown sugar, soy sauce and minced garlic to the bowl with the pineapple juice. Place the chicken breasts in the insert of the electric pressure cooker with the hot water and pour the pineapple chunks around the chicken. Season with salt and pepper. Pour the pineapple-soy sauce mixture over the top. Swirl the cornstarch with a few Tbsp of water and stir it into the sauce. 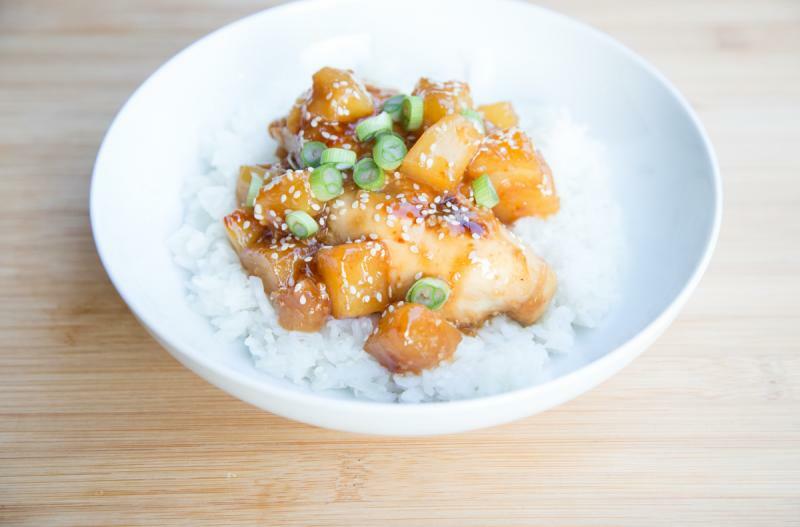 Serve Instant Pot Pineapple Chicken with sesame seed garnish over rice with veggies. Drain and reserve the pineapple juice from 2 cans of pineapple chunks in small bowl. 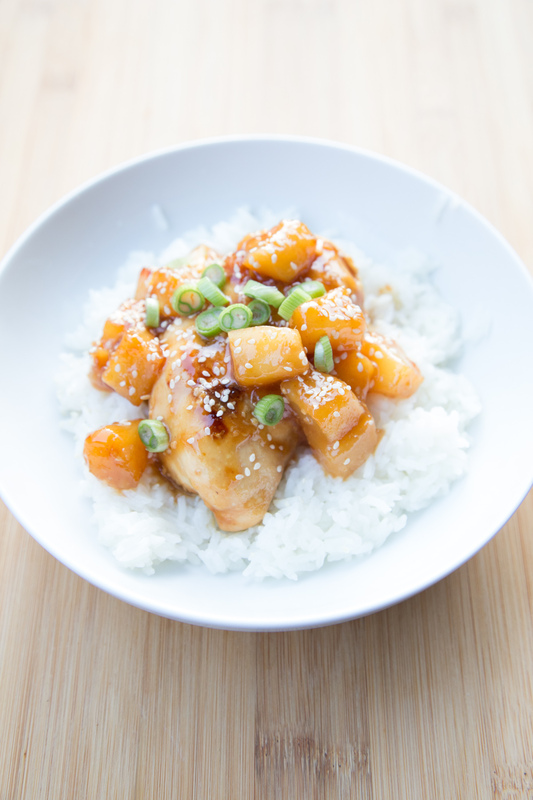 To the pineapple juice, add 1 1/2 cups chicken stock, 1/2 cup brown sugar, 6 Tbsp soy sauce and 2 tsp minced garlic. Stir in the cornstarch to thicken sauce.